Want to be notified of new releases in julik/sylens? These plugins help to prep images that have been undistorted using the Syntheyes matchmoving software. It implements the same undistortion algorithm as the one embedded in Syntheyes and explained here. To get started right away, have a look at the sample.nk test file included with the plugin. When you start Nuke the next time there is going to be an extra icon in your node toolbar. SyLens node works with image inputs. After all is done you might want to redistort either your whole comp or only the piece of CG that came to you from 3D (since it would have been rendered from the undistorted film back size). To redistort, plug your oversize plate into a copy of SyLens with the "output" switch set to "apply disto". See to it that other settings - k, kcube - stay the same! Quartic distortion coefficient. This is calculated by Syntheyes and needs to be punched in here. Cubic distortion modifier. If you used this in Syntheyes you can apply it here as well. Sometimes you are dealing with off-center lens distortion. This can occur when a lens is fitted onto the camera but not properly centered onto the sensor (some lens adapters are especially susceptible to this, like the anamorphic Alexa fittings). Apply some margin here to shift your distortion midpoint left or right with regards to the center of your digital plate. Sometimes you are dealing with off-center lens distortion. This can occur when a lens is fitted onto the camera but not properly centered onto the sensor (some lens adapters are especially susceptible to this, like the anamorphic Alexa fittings). Apply some margin here to shift your distortion midpoint up or down with regards to the center of your digital plate. When you apply distortion to the image, the bounding box that SyLens receives will usually grow. For example, when reintroducing distortion, there will be overflow outside of the image. When you are compositing redistorted items onto the source you generally don't want to have this overscan. When you enable trim bbox the size of the bounding box will be reduced to fit within the actual output format, and no overscan pixels will be output or computed. 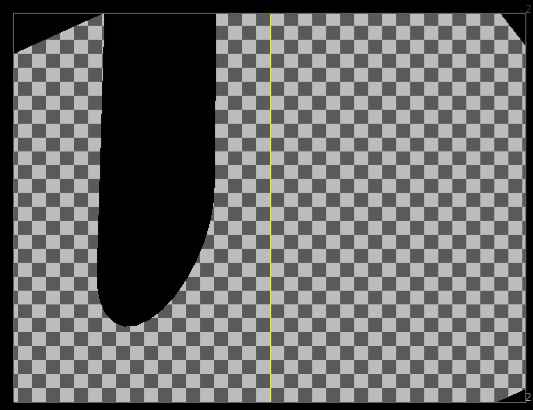 Sometimes it's not that handy to have an overflow bounding box in the standard format - for example, when you need to render your images out for matte painting. So we provide a shortcut checkbox that you can use to create outputs bigger than the original plate. 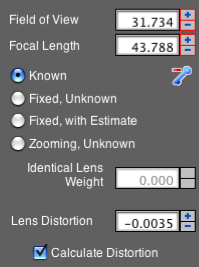 This will mess up other calculations that depend on the correct field of view of the camera, so be careful with that one. It will only have effect on images that have barrel distortion. You can see what SyLens is doing. When you enable this, debug info will be written to STDOUT. If you start Nuke from the terminal then this terminal will contain all the relevant output. SyLens creates images which have overflow bounding box, that is - bounding box that extends outside the image format. For that reason creating a roundtrip projection setup needs a little work to get right. I am highlighting the special parameters from the node bin which differ from the defaults. This relies on using Nuke's "overscan" (bbox that goes outside of the image format). Enable "Show overscan" in the viewer context menu to actually see what's in there. Alternatively, render with a SyCamera node instead of the standard camera and get even better results if your meshes permit it. The SyUV node is a modifier for the input geometry. It will undistort your image in UV space so that you can preserve filtering steps. It is built to account for projected UVs. Here we project the UVs from our projection camera. Make sure that the camera you are projecting UVs from has it's vertical aperture set correctly. If you are seeing mismatches between your projected UVs and the actual image, this is the culprit. Afterwards, apply the SyUV node. You can also apply it to a plain Card, or you can apply it to an arbitrary mesh - what is important is having the UVs projected from your camera, not the standard UVs or unwraps. Create the node and dial in the controls just as the main SyLens plugin. 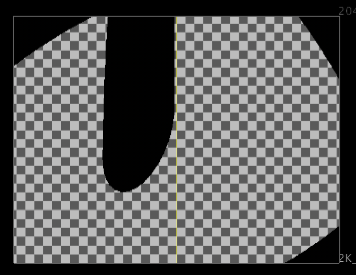 The undistorted image will look like this in the viewport. Note that to make efficient use of SyUV your geometry needs to be relatively dense since we can only apply undistortion at the vertices of the image. Everything within one quad/triangle will be interpolated in a linear fashion. The UI controls of SyUV are very similar to the standard SyLens plugin. The Syntheyes algorithm requires the aspect ratio of your distorted plate. This cannot be automatically deciphered from the UVs so you need to dial it in manually. Use your image's aspect ratio. 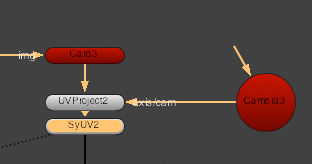 Nuke allows for arbitrary UV attributes to be added to the main geometry. If you want to manipulate a non-standard UV channel punch it's name in here. Normally you would leave this parameter at it's default setting. SyGeo undistorts the vertex coordinates in your geometry. It's primarily designed to undistort Card nodes that you place your footage on (with image aspect enabled). Here we pump the footage into a Card node, which then gets straightened. This is analogous to the distortion parameters of the Card node itself. The Syntheyes algorithm requires the aspect ratio of your distorted plate. This cannot be automatically deciphered from the input geometry so you need to dial it in manually. Use your image's aspect ratio. This defines the relationship between the coordinates in the camera frustum and your geometry. 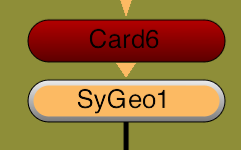 When using SyGeo with Card nodes, for example, the factor is set to 2 since the outermost left and right points are offset by 0.5 from the origin of the Card. The Syntheyes algorithm, however, needs the coordinates to be in the -1..1 range so there is a scaling operation involved when doing distortions. For Card nodes you can leave this parameter at it's default setting. The SyCamera node performs distortion in camera space. You can use it just like you would use a standard Nuke camera node. 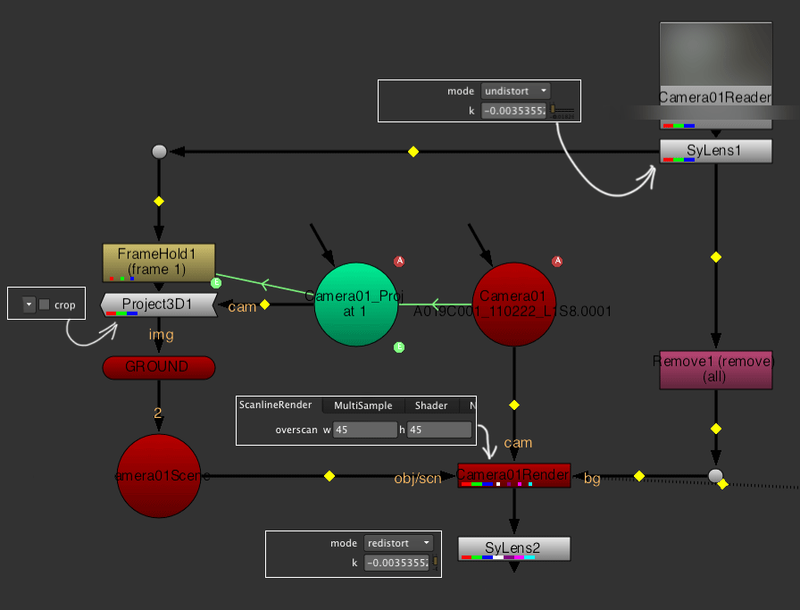 However, once plugged into the render node it will distort the rendered output according to the Syntheyes algorithm. The only difference with the standard Nuke camera is the addition of the SyLens controls tab. Use it the same way you would be using SyLens. Note that in order to achieve good redistortion you need to have enough vertices in your geometry. 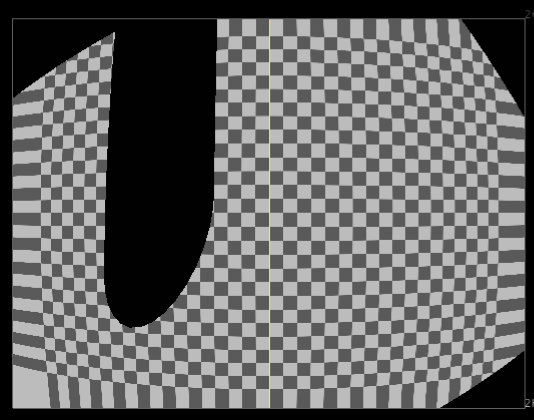 That is, Nuke's lens distortion function is not a fragment shader, but a vertex shader - it transforms the actual vertices in the geometry as opposed to requested pixels. Note that the Syntheyes algorithm requires the aspect ratio of your distorted plate. Therefore it is imperative that your haperture and vaperture parameters are set correctly. The Syntheyes script that exports Nuke files takes care of this by default, but if you create a SyCamera from scratch you will need to take care of them yourself. SyShader is a Material modifier that can be applied before any Nuke shader. 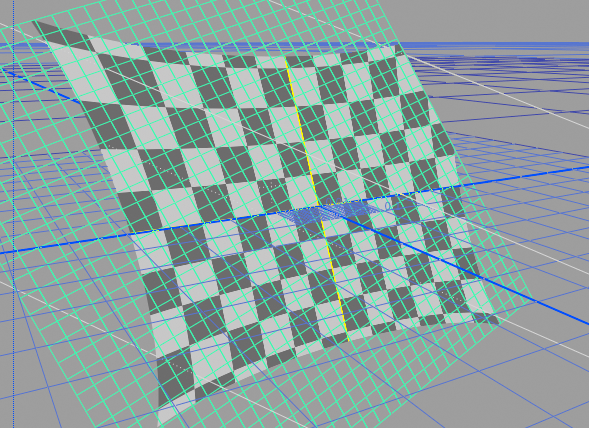 For example, adding a SyShader before a Project3D will undistort the projected texture. SyShader can be used as a vertex shader or as a fragment shader. Vertex shader is dependent on the geometry, but it will provide good undistortion with SyCamera. Fragment shader works on the actual pixels of the texture (so you can use it even with low-density geo), but it will not provide good redistortion with SyCamera. 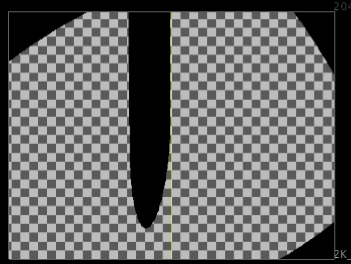 It might nevertheless be useful if you are using it to undistort the plates and say do a texture extraction. Consult BUILD_INSTRUCTIONS.md in the src directory of the plugin for exact build instructions. See the scripts in the sample_scripts directory. The plugins are based on the 3DE distortion plugin by Matti Grüner. The beautiful landscape shot used in the test script has been provided by Tim Parshikov, Mikhail Mestezky and the "Drug Druga" production company.